Salon ran a very insightful article on the rise of the new yippies on the right: Glenn Beck is the new Abbie Hoffman. It’s very prescient. The author suggests that like the radical yippies in the 1960s, today’s radicals endorse a similar list of tactics, behaviors, and beliefs. Today’s Right Hippies (Rippies?) follow radicalism, Luddism, anti-science stance, street theatre (or more like broadcast theater), and dropping out (a 60s hippie term). I would add another indicator to their list: The homeschooling movement, which also encourages families to dropout from the public education system. Finally, a favorite book of the rippies is Saul Alinsky’s Rules for Radicals. In October, 2008 an analysis by V. Krebs of Amazon book recommendations, where customers who bought book A, also bought book B, showed that Rules for Radicals was highly correlated with the purchase of other conservative books. Rules for Radicals in the lower left. Anti-System Radicalism: Just as the New Left claimed that the New Deal era wasn’t really liberal, so the countercultural right claims that the Republican Party from Nixon to George W. Bush wasn’t really conservative. ’60s radicals like Carl Oglesby denounced John F. Kennedy and Lyndon Johnson as sinister “corporate liberals” in the same way that the radicals of the right claim that the two Bushes, if not the sainted Reagan, were inauthentic “big government conservatives.” The radical left had Ralph Nader. The radical right has Ron Paul. Luddism: A few decades ago it was the countercultural left that opposed science, technology and markets. Now mainstream environmentalists have arguably gone too far in adopting the market rhetoric of cap-and-trade. Stewart Brand, the founder of the Whole Earth Catalog, today seeks to save the environment by means of nuclear power plants, genetically modified crops and urban living. Nowadays anti-science, anti-technology Luddites are more likely to be found on the right, among opponents of stem-cell research and evolutionary biology. And while the exaggerations and cover-ups of some scientific proponents of global warming undermine the claim that science on this subject is settled, it is clear that many conservatives reflexively believe the opposite of what progressives say on this and other subjects. If Al Gore changed his mind and announced that global cooling was imminent, one suspects many on the countercultural right would immediately warn of rising global temperatures and flooded coastlines. A counterculture inverts not only the widely-shared values but also the agreed-upon facts of the dominant culture they despise. Street Theater: The eclipse of the countercultural left by the countercultural right is evident in political protest as well. Carnivalesque protest is practically monopolized by the tea-party right in the age of Obama. In the U.S., at least, the street theater of antiwar and anti-World Bank activists cannot compete with the mass demonstrations of the tea partiers. The giant puppets of the left are out. Posters of Obama with a Hitler mustache are in. Tho not a tea partier, I have been following the actions of folks associating themselves with that term. My read is most of these folks are traditional suburbanites, tired of being part of the old silent majority. I don’t know how much steam will remain once these attempts at co-opting the ad-hocness, such as the private tea party invocation in Nashville where Palin spoke, become more prevalent. Maybe some will move into enclaves as you suggest; it certainly will be interesting to watch it play out. The extreme wing may in fact be rippies; I wonder what Paul Krassner thinks? 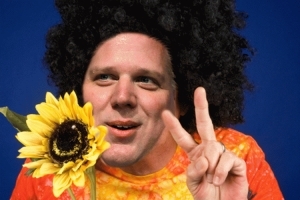 As for Glenn Beck the guy has some mental stability problems – linking him with Abbie Hoffman might be correct in that regard. He reminds me of Jack Parr, frail & weepy, and won’t be surpised to see some darkness overtake him. Some of what you wrote has the appearance of coming from someone with lefty sympathies. It weakens the premise. For example, this sentence contains not an ounce of truth: “If Al Gore changed his mind and announced that global cooling was imminent, one suspects many on the countercultural right would immediately warn of rising global temperatures and flooded coastlines”. 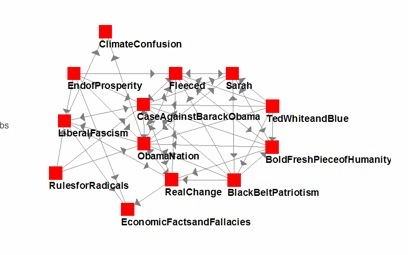 Have Michael Phillips critique it, as he loves to examine & discuss politico-social trends. I read him for the same “thought provoking” I get here. Thanks. @Michael Cox: I didn’t write that. I am sorry my post was not clearer: I was quoting the Salon article, which is left-leaning. The latest bit of right wing propaganda is that hippies caused the recent financial melt-down, as proclaimed by David Bossie of Citizens United on the Hannity Show. As we are still fighting the battles of the 1960s â„¢Â© all rights reserved, it seemed we have completed the dialectic. What was once the antithesis is now the thesis. Time (well past time) to move to another synthesis. Would it be possible to figure out the context of this data point? Interestingly, I first heard of Alinsky via Art Kleiner’s (Co-Evolution Quarterly irregular) wonderful history of organizational development, The Age Of Heretics”. As I remember it (it’s been 20 years) Alinsky was covered in the book for his tactics around changing HR policies at a large corporation. I recommend the Kleiner book; esoteric subject but fascinating reading. What this phenomenon says about “radicals” is not as interesting as what it says about “the establishment”. In the 60’s, the American establishment was perceived as being conservative and Christian, while the radical “Yippies” were liberal and largely Jewish (like Abbie Hoffman and the Chicago Seven), but these days the establishment is suffused with liberal Jewish sensibilities and conservative Christian types find themselves on the outside, despite their greater numbers in the population overall. In 2002, a friend and I wrote the strategic plan for the Cobb County School System’s Technology Services Division. At the time, Georgia’s CCSS was the 29th largest school system in America. The goal of our project was to determine what types of technology the CCSS should use from one grade to the next. This was kind of a big deal, as technology often impacts curricula selection and deployment. My partner and I interviewed dozens of stakeholders in the CCSS, from teachers, to parents, to the Superintendent. Most striking to me was how the teachers felt that parents know practically nothing about educating their own kids and in fact will destroy educational value if given a more active role in the educational process. Additionally, the teachers repeatedly referenced their role as daycare provider for kids and believed that the students could be educated in less than 8 hours per day, but because many family’s have a DINK structure to them, students need to be warehoused until 4pm. With the exception of our high-school aged son, my wife and I homeschool our other three kids, and we’re not flakes. Our kids are task-driven self-starters and can even be left to work autonomously on some lessons because we feel that in the future, working autonomously and being goal-directed will be one of the most important character traits a person can have. After all, in the “real world,” executives get hired for what they’ve done and fired for who they are. That’s been my experience, anyway. Being critical of the fading cult of climate hysteria doesn’t necessarily make you a Luddite. Upholding a shaky theory in progress as a religiously significant doctrine makes you a Luddite. When a politician who’s been proven wrong on several accounts repeatedly assures us the “science is settled” and those beheld to him repeat illogical assertions confusing correlation with causality, it’s our scientific duty to punish the theory until no doubt remains. As yet, no predictions made by the warming cult have unfolded that are incompatible with the competing theory “business as usual”. I would say, doubt remains. I am truly surprised by the majority of the comments here. I applaud those who have defended their conservative beliefs and clarified the reasons for them in a respectful way. I am Christian conservative. I have attended some local tea parties. I have friends that home school. I like Glenn Beck (especially on Friday’s when he corrects history). We (the right) are very misunderstood by the left.